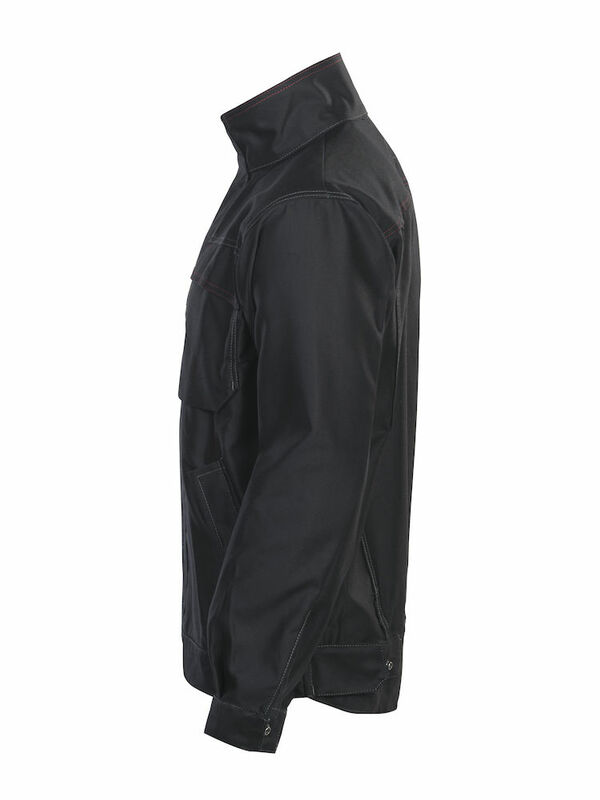 The jacket features the standard JOBMAN workwear pockets including two chest pockets and hand pockets. Zipper and snap buttons. Adjustable hem / waist strap with press-studs. Adjustable wristband with snaps. Chest pockets with flap and button. Material: 100% Cotton with flame retardant applied. Just received this jacket in the mail today…ITS BEAUTIFUL!!! It's so beautiful I'm not sure i want to get it burned now! I was worried the fit would be a little off but the way it sits on my shoulders is perfect and the weight of it is about twice as light as a full leather welding jacket of the same dimension. 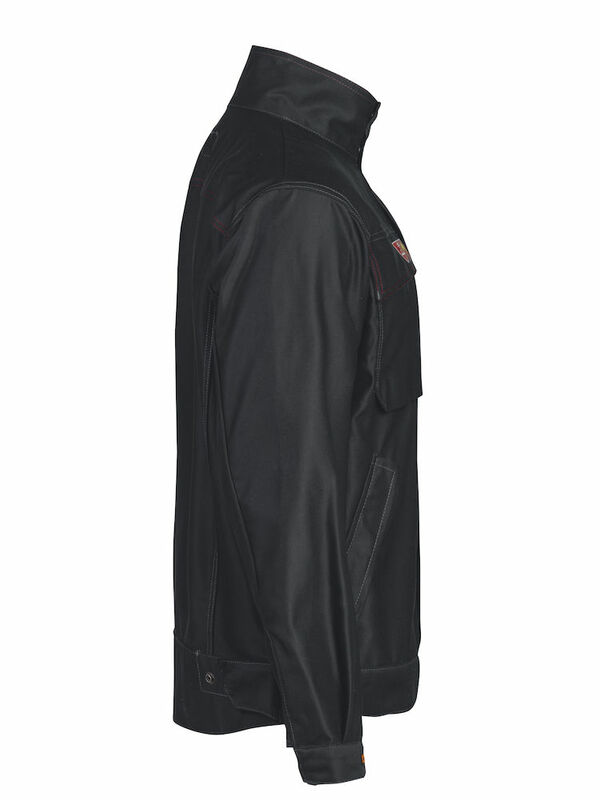 The red stitching gives it a very subtle but defining look that i wouldn't have expected from a jacket thats made for function, i could easily wear this from the shop to a night out with friends in the city. My only problem was that it took almost 3 weeks to get to me but i have to say that the good people at jobmanusa answered all my questions and worries with very fast replies. Thank you jobmanusa! And thank you very much Callie for replying to me so fast! Nice work jacket. $58 broker fee felling Canadian on that deal. 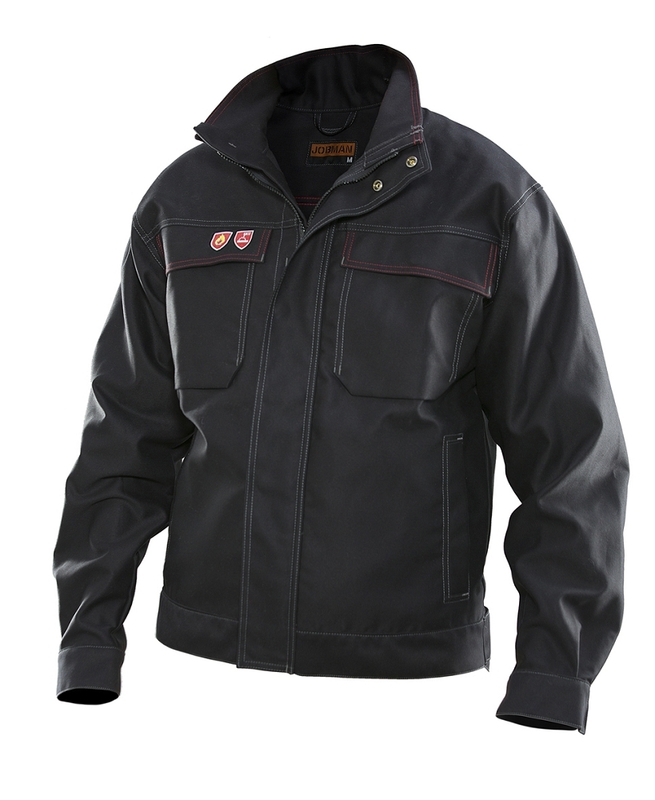 Very flexible working jacket, durable ,resistant to heat and splashes,perfect for cutting and welding in all position. Q: What is the jacket made out of exactly? A: This jacket is made of 100% cotton. 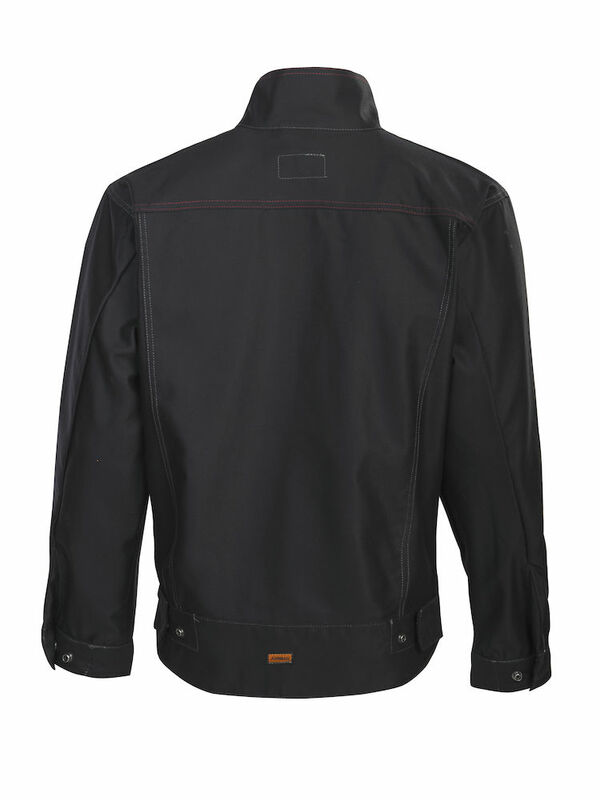 The cotton is treated with PYROVATEX®, a proven flame retardant treatment for cotton.